Just a few short weeks ago we were in NDG for a special media sit down dinner at Hopkins. 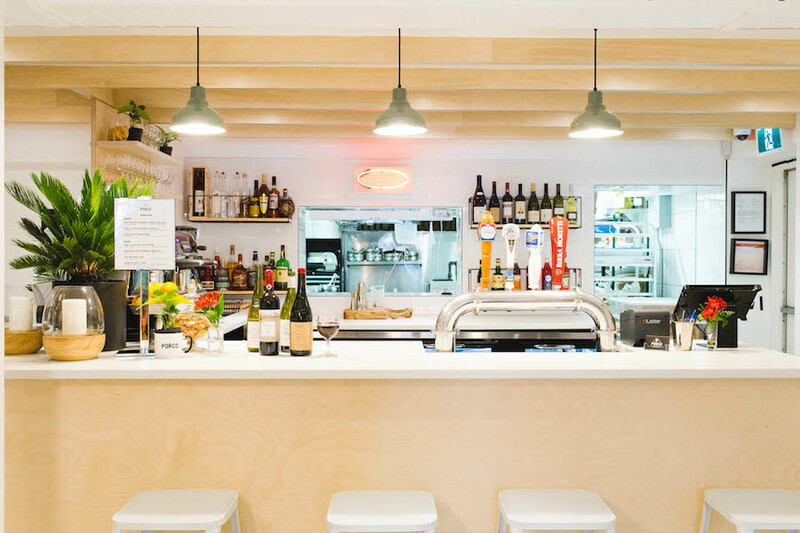 Last week we returned to the bustling Monkland village neighbourhood for the opening of Porco, Hopkins’ sister restaurant. The two can’t be compared but they do share an owner and a desire to offer their clients top quality food. With two restaurants under her belt, Nicolina Servello, a successful caterer, personal chef and food stylist, is the epitome of a busy woman. Despite what must be a ridiculously packed schedule when you see her, she’s not sweating the small stuff. She’s inviting you to take up a seat, loosen your belt and get ready to be served a meal that you won’t soon forget. 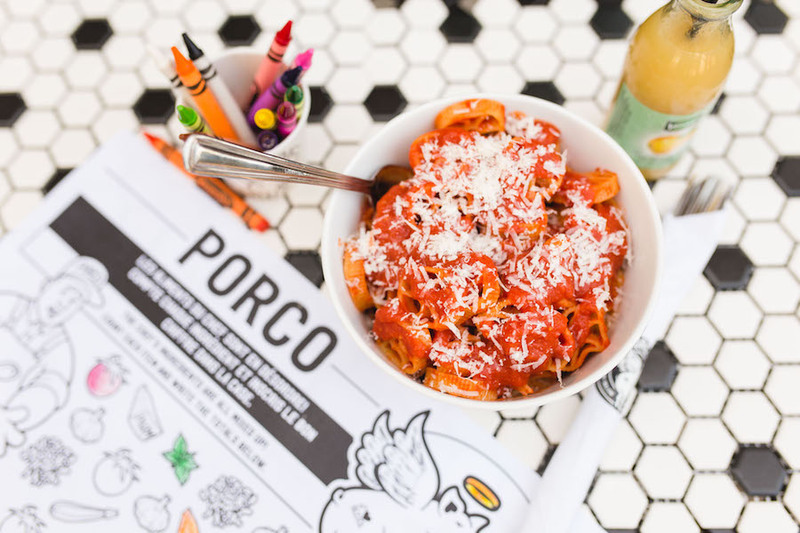 At Porco she and her group of partners who include chef Angelo Ruscitti, Johnny D’Amico and Johnny Pedicelli, have created an Italian-inspired eatery that doesn’t shy away from indulgence. The new restaurant features a largely pork-centric menu that also hosts a variety of pork free items for those who may want something a little different. At the media dinner we experienced an onslaught of delicious food including a table of perfectly roasted, crispy porchetta, cured meats, cheese, spiced salads, olives and more. Looking at the size of the table, we thought that was going to be it for us but we were all mistaken. This was just the beginning of a very warm welcome. Taking our seats at the communal tables that fill the dining room we were served a three course meal that began with a savoury green salad featuring golden croutons, salty shavings of parmesan and a tangy vinaigrette. For our main course we were served a delightful chicken-fried pork Milanese with a tomato sauce covered, ricotta topped plate of cavatelli. The cavatelli were firmer than I like this type of pasta to be but I was with a couple of experts at the event who assured me that they were cooked to perfection. I stand corrected. We capped the evening off with deep fried donuts that were doused in a liquid sugary caramel make from pork fat. I’m not going to say any more about that other than wow. Porco is billed as a casual snack bar and it certainly looks like one, despite the amazing, high-end quality of the food that comes out of the kitchen. The décor, like the food, has whimsical Italian inspirations. 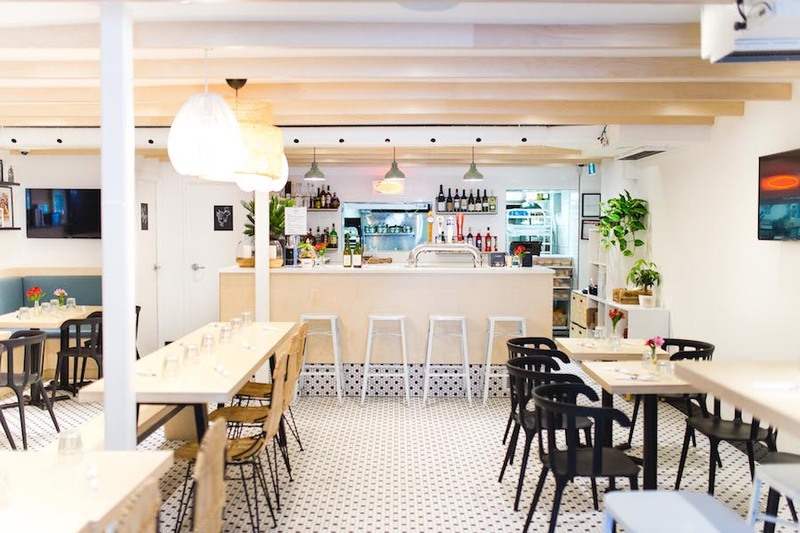 The bright lighting, the white floors and the light, pine-coloured furniture, while pristine to look at, can feel a bit sterile (which isn’t necessarily a bad thing in restaurants). I happen to like the stark, almost Scandinavian vibe because it’s so unexpected. With this type of decor as the backdrop the focus remains on the food, which is why I would travel from one side of the city to eat the Milanese pork again. The decor may not be as cozy as you might expect when you think Italian (or the stereotypical Italian restaurants we’ve become accustomed to) but the service and food stands to warm the cockles of your heart. For more, visit their Facebook page here.